WASHINGTON — Sikorsky’s S-97 Raider experimental helicopter sustained “substantial damage” from a hard landing during a flight test at the Sikorsky Development Flight Center in West Palm, Beach, Florida, in early August, according to a National Transportation Safety Board preliminary report issued Monday. 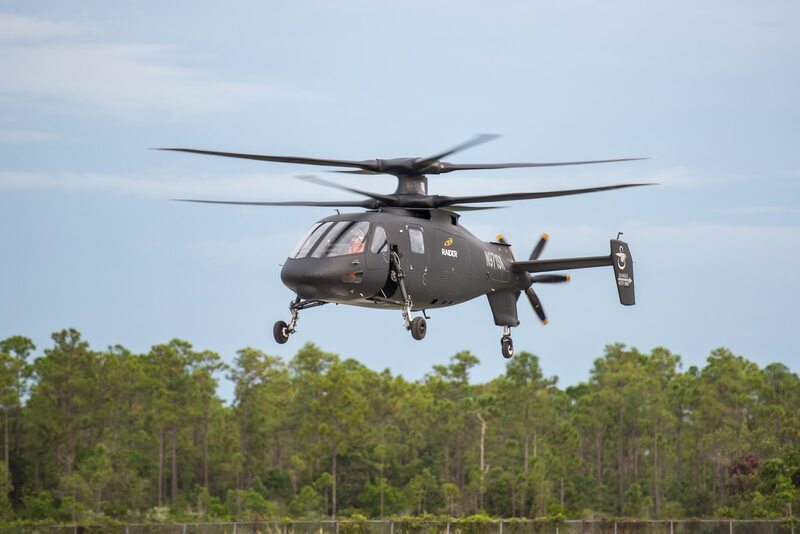 But the hard landing isn’t stopping Sikorsky from driving its work on the experimental aircraft forward, according to Chris Van Buiten, the company’s vice president of technology and innovation. The Raider will fly again in 2018, he said. Moreover, based on preliminary findings, the cause of the hard landing had nothing to do with Sikorsky’s primary X2 coaxial technology used both in the Raider aircraft and its SB-1 Defiant demonstrator it’s building for the Army’s Joint Multi-Role demonstration, which will help define requirements for a Future Vertical Lift aircraft expected to begin flying in the 2030s, Van Buiten stressed. The hard landing occurred when the helicopter was in a hover over a landing zone. Sikorsky is assessing whether the changes to the flight control system should also be applied to the Defiant program. The accident did show the safety and protection features in the aircraft are up to snuff such as the retractable landing gear, crash-worthy seats and crash-worthy fuel system. The landing gear sustained “significant damage,” Van Buiten said, “but the pilots put the aircraft down level on the runway,” the crew shut off the engines and the electrical systems, opened the egress doors, hopped out of the helicopters and walked away from the crash. Sikorsky is still looking into whether the Raider prototype can be salvaged and if it will fly again. In the meantime, Van Buiten said the company is accelerating bringing its second prototype into play. The second aircraft is “mostly built,” but was put on hold so Sikorsky could incorporate lessons learned from the first prototype, which had flown 20 hours and performed over 100 hours of ground runs before its crash, according to Van Buiten. Sikorsky has also been maturing a weapons suite for Raider in its system integration lab and intends to incorporate those on the second aircraft. A much more comprehensive report from the safety board is still to come and is subject to change, according to the board and Sikorsky. The timing of the release of that report is unknown.